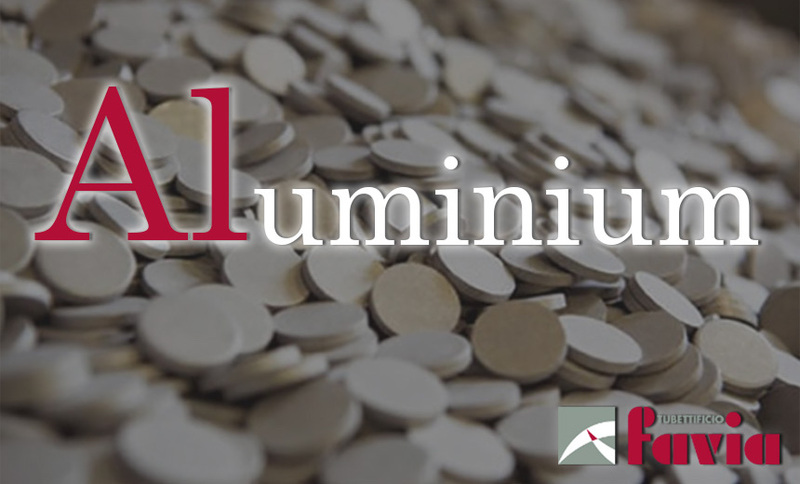 Aluminium, a very versatile and sustainable material with which the Tubettificio Favia produces its famous collapsible tubes is available in nature as various compounds. It is the third most important element in terms of weight on the earth’s crust, in a percentage of 8%. Its history, however, compared to many other metals is quite recent, since its use in industrial process dates back only to the end of the 1800s. It is present in the periodic table of the elements with number 13 and is mainly known among the metals for its softness, lightness and for its resistance to oxidation, characteristics that make it a very ductile material and suitable for various industrial applications. The raw mineral that contains more aluminium is Bauxite, from which it is extracted through two successive processes called the Bayer Process (a chemical process) and the Hall-Heroult process (electrolytic process) by the names of the scientists who first identified the industrial procedure for extraction of aluminium, around the eighties of the nineteenth century. Since then, the extraction and production cycle has remained virtually unchanged. Recently, the aluminium is coming back strongly in the spotlight and the collapsible aluminium tube shows off with its vintage taste on the major beauty and make-up magazines and on the Instagram profiles of many influencers. Nowadays Bauxite is still the sedimentary rock from which the greatest quantity of aluminium is obtained, therefore the main source for its production and industrial use. From a quantitative point of view, from four tons of bauxite it’s possible to extract about two tons of alumina, from which aluminium will be obtained. After obtaining it, the metal is melt and cast in a long aluminium sheet of defined thickness, that is later “wrapped up” in a coil for easier storage. The sheet is reduced into discs, the most suitable form for the extrusion process. Nowadays, extrusion is the selected process for ductile metals, just like aluminium, which can be worked through so-called impact extrusion. From the extrusion process we obtain the cylinder, that will become a collapsible aluminium tube. The extrusion involves the transformation of an aluminium tablet which, pushed inside a steel matrix, becomes a long extrusion with a constant section. The most-known products from impact extrusion are precisely the collapsible aluminium tubes. Sustainability is undoubtedly the greatest challenge that involves all the players in the contemporary packaging supply chain. As more and more consumers seem to be very careful about what they consume, but also how what they consume is packaged. Thanks to the separate collection, aluminium can be considered a magical material, because it can be infinitely recycled. So the aluminium packaging lends itself to be an excellent solution in various product sectors. Being a perfect barrier against external contamination, it is very suitable as packaging for drugs and cosmetics, but also for the food industry. For its qualities, first of all hygiene and being a barrier against external contamination, it is very suitable as packaging for drugs and cosmetics, but also for the food industry. Usability is another of the characteristics to be considered when choosing a packaging. And here the collpasible aluminium tube emerges as a key element. The tube is convenient because it allows you to squeeze the content directly where you need it, whether it is a cream for topical use in the pharmaceutical field, or a sauce or a glaze for food and cake design. In addition, a closed tube minimizes the risk of contamination and extends the storage life. We are talking about a super sustainable material, for its endless recycling possibilities that never change, not even after endless re-use. Furthermore, its recycling process saves about 95% of the energy that would be consumed to extract new aluminium from bauxite. These are the characteristics that make it the perfect material for sustainable and quality packaging with any doubt. Being particularly ductile its use in the form of a tube also guarantees a formidable anti-waste action. The collapsible aluminium tubes, in fact, can be rolled up on themselves, allowing to squeeze up to the last drop of content, whether it is a sauce, a jam or an ointment. To all these peculiarities is added the extraordinary capacity of personalization, which thanks to the digital printing makes collapsible aluminium tubes a perfect canvas for high quality graphic works. Tubettificio Favia with ToBeUnique is able to create a professional and personalized print, perfectly faithful to the client’s artwork, both on the aluminium tube and on the plastic closure cap, for truly surprising results. Finally, the implementation of the Stealthcode® technology can make the aluminium collapsible tube a key element in the digital marketing strategy of your product. Curious? Contact us to discover the wide range of our tubes and their endless customizations.